Oklahoma Bed and Breakfast | Meadowlake Ranch – Questions? Contact us here! We live in a world that most often equates self-worth with how productive you are. This kind of thinking is dangerous when it pushes people beyond their natural limits. When you’ve been in this mode for a long time, silence and rest can seem kind of bizarre, but these things are incredibly important if you want to function at a higher level over a longer period of time. Studies have shown. Sure, you might be able to last a few months. But after a while, an unbalanced routine of work and rest can be detrimental to your overall wellbeing. Our Oklahoma bed and breakfast is the perfect place to get the rest and solitude that you need. Everything from our location to accommodation is great for helping you unplug from your busy life and gain a fresh perspective on the world around you. Our Oklahoma bed and breakfast can be a place that you return to again and again. Being away from all of the hustle and bustle can also be great for making sure that you provide the people closest to you with the time and attention that they need. When you are constantly being bombarded by projects and requests from your boss or clients, you can quickly become jaded. Things that use to inspire you or things that you used to find enjoyable can slowly change into mere tasks that you trudge through just so that you can finally catch up on some sleep on the weekend. This kind of lifestyle is not healthy to maintain either mentally or physically. Studies have actually shown that when you take time to draw away from all of the noise of life, all of your senses are heightened. Your perceptiveness levels increase. You become better at engaging with people because you are able to read situations differently than you could before. Who knows, your next great business idea could come to you while you are treating your mind and body to the rest that you need at our Oklahoma bed and breakfast! Stress is a very real energy drain in the lives of millions all around the world. One of the core elements behind this pervasive stress is a lack of silence and solitude. People, whether they realize it or not, always tend to focus on the past and think of what they could have done differently, or project themselves into the future where they imagine a life better than what they have in the present. Both the past and the future are no substitute for right now in your life. Staying heavily focused on the past or on the future can breed discontentment and stress in your life. It’s when you take time to be quiet and rest with no form of distractions that you can really start to enjoy your life. Rather than always chasing after some kind of future bliss, or beating yourself over the head for past mistakes, you can finally just find joy and the moment. Living this way will actually help you shape the life you really want as you begin making decisions that correlate directly with where you are now. Our Oklahoma bed and breakfast is a place that will help you get quiet and rediscover the things that matter most in your life. 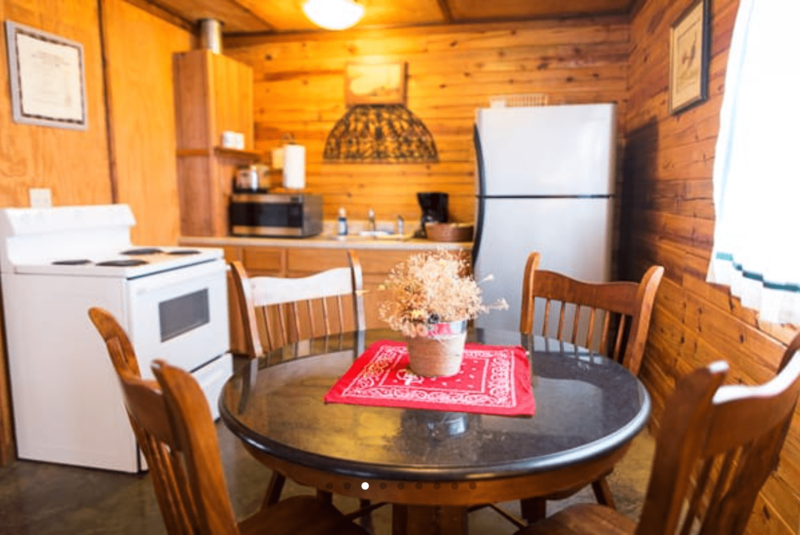 As you soak in the beauty of nature at our Oklahoma bed and breakfast, you will find that your overall mental and physical strength is being restored. Being self-aware is of vital importance, especially in the workplace where you’re dealing with other people all of the time. The longer you stay in an unhealthy work routine, the more disconnected you become from your surroundings. When you used to be a punctual person, you might start showing up to your job late. When you used to be passionate about the project you’ve been working on, you might start watching the clock for when you can go home. Self-awareness is the ability to recognize these changes in yourself and take action to rectify any areas that have developed in a negative way. At our Oklahoma bed and breakfast, you’ll find that you will rediscover who you really are. At our Oklahoma bed and breakfast, you will become more in touch with the type of person that you want to be in the workplace and at home. When you are used to a non-stop pace, stillness and quiet can be downright uncomfortable. Be treated to some down time after a long season of hecticness might not always seem like such a nice thing. It forces you to stop and really think about your life. At our Oklahoma bed and breakfast, we believe this quiet time is invaluable! It will help you be a better-rounded person, and aim your life in the direction that you really want to go. We hope that you have enjoyed these thoughts on the value of rest! 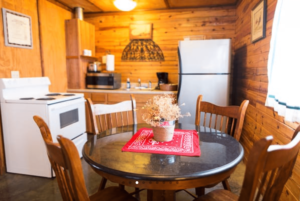 If you think that you could benefit from some good quality rest and recreation, we would love to have you come to stay with us at our Oklahoma bed and breakfast. We know that you will leave feeling refreshed and better than you ever have before. If you have any questions about our Oklahoma bed and breakfast, please feel free to send them our way! 3450 S. 137th West Ave.